To challenge and inspire every student to become a lifelong learner and a resilient, independent, literate, caring, creative, responsible world citizen. Educating children is our first priority. Education is a community-wide responsibility and requires the active engagement of all stakeholders. The individual worth of each child must be celebrated. Every student can learn and deserves an equal opportunity to learn. Every student has special gifts and talents to be discovered and nurtured. Positive attitude and effort lead to accomplishment. Physical activity, the arts, and play are essential elements of a comprehensive education. Education must focus on active learning, using critical thinking, and problem solving skills. Empowering students to become resourceful learners who can apply their knowledge. Challenging each student to reach his/her full potential. Respecting individual and community values. Integrating twenty-first century technology throughout the school. Investing in our professional staff to enhance instruction. Developing and retaining exemplary teachers. Providing a safe, secure, and positive environment. Managing our financial resources efficiently and effectively. 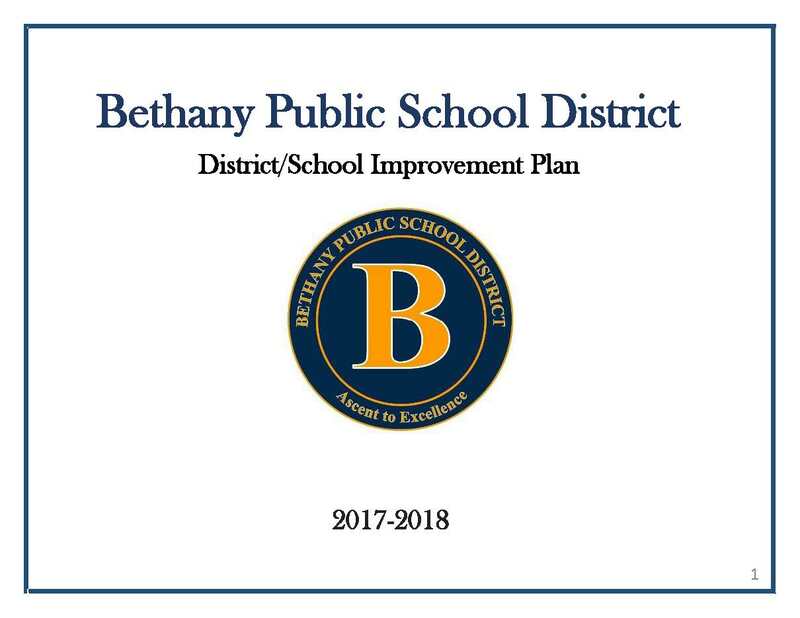 Advancing the Bethany Public School District together as a community.